Often there comes a moment when I just feel the need to take the bike out for a ride but the time or the weather are plotting against me. 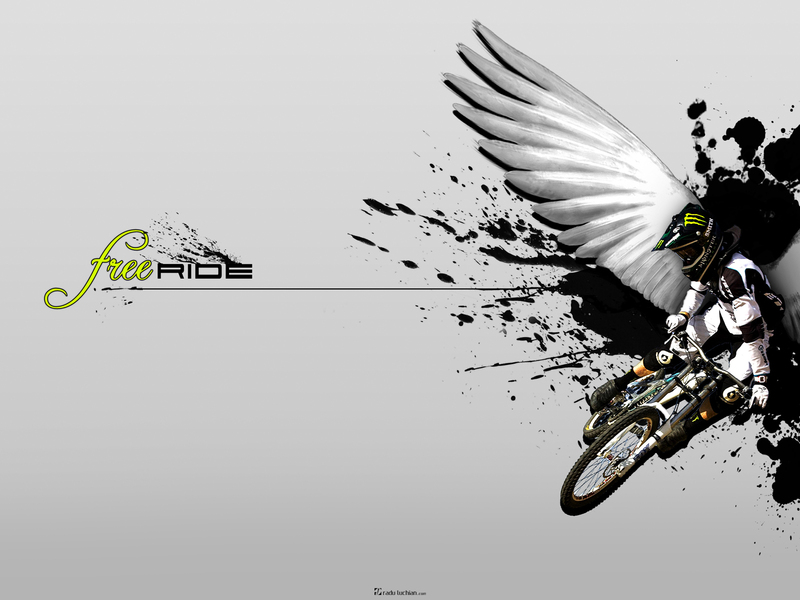 For this reason I decided to make myself a little minimal mountainbiking wallpaper. 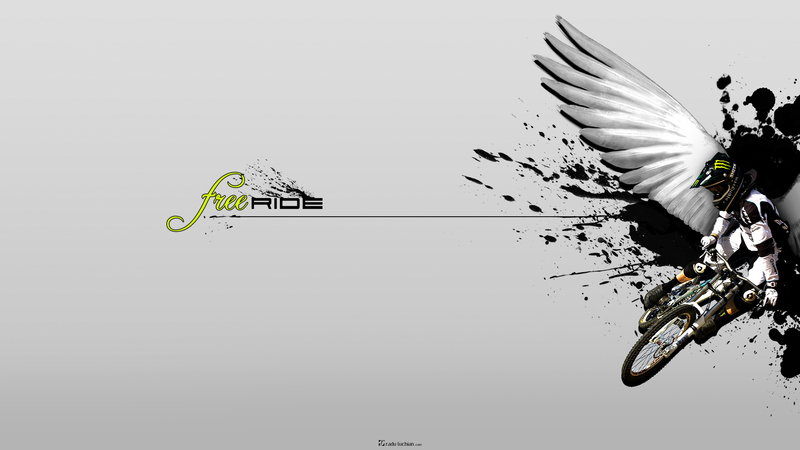 Hope I managed to depict the feeling of freeriding as accurate as possible, after all we all find our own ways of growing wings. The rights for the original image of the rider belong to Craig Grant. 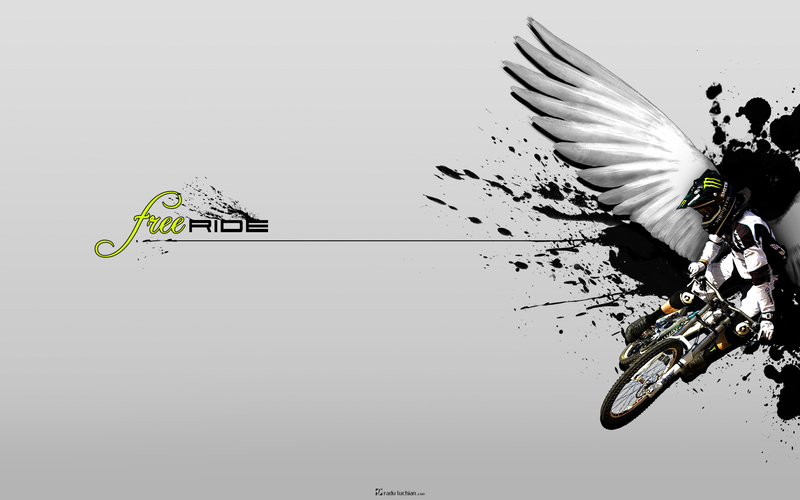 Resources used: angel wings, splatters.